Many asteroids are rich in minerals, metals and water, making them potential life support systems for humans venturing deep into the solar system. Moreover, their relatively small mass means their gravitational field is weak, so in this respect, at least, they are much easier than larger bodies such as the moon to land on and leave, he argues. 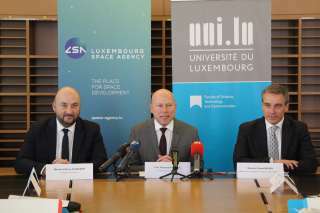 Harnessing the resources of asteroids, says Mr Stibrany, would mean that people could eventually live, settle and work in space without having to take everything they needed from Earth. In the near term, asteroids will function as “refuelling stations” says Chris Lewicki, president and chief executive of Planetary Resources, based in Redmond, Washington. Some may offer, for example, a ready source of rocket propellant — made from separating water into hydrogen and oxygen, that are expensive to bring from Earth.